The Malco Hotline is your phone connection to Malco movies and showtimes at your favorite theater. In Memphis, give us a call at 901-681-2020. For all other locations click here . 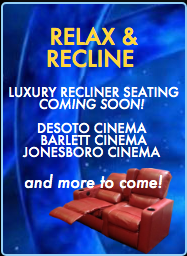 Stay up to date on Malco movies and Facebook-only specials. To friend us, go to http://www.facebook.com/malcotheatres. Download our app for your iPhone and iPod touch and find out whats showing at your favorite theaters. Click here to add to your iPhone or iPod! Point your phone's browser at http://www.malco.com/2.mobile and get up-to-the-minute listings of your favorite movies.